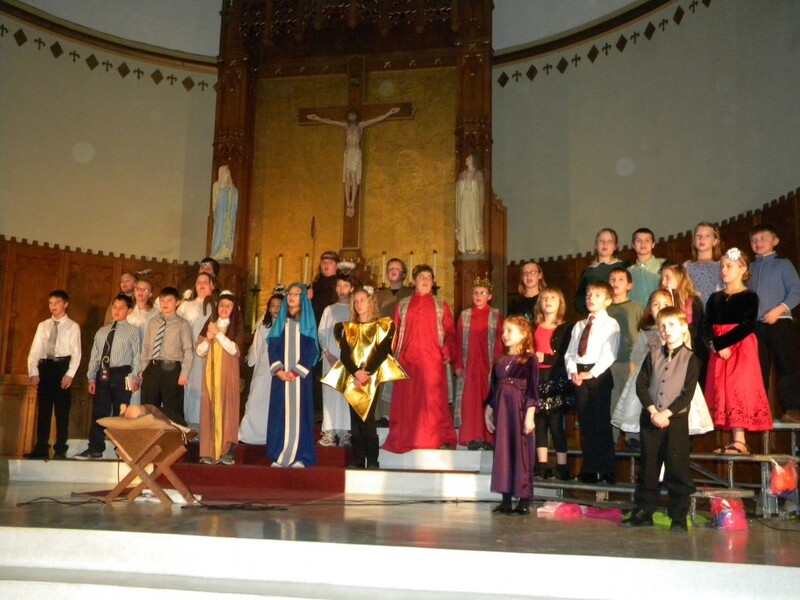 The boys and girls performed beautifully Wednesday night, December 19th, in their programs “Lets Dress Up for Christmas” (preschool and kindergarten) and “The Big Big Story” (grades 1-6). The children never fail to put us in the true spirit of Christmas with these performances. Families met in the church basement after the programs for hot cocoa, cookies and fellowship. The boys and girls are very grateful to our parrisioner friends who participated in the annual apple pie baking event. 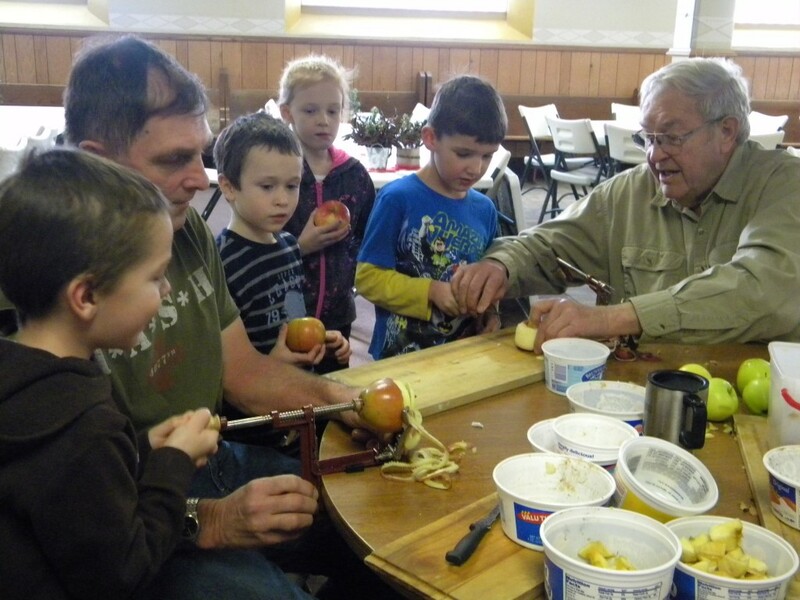 For the past four years students have brought apples from home to make and bake their own pie with the help and guidance of parishioners, including; Orv and Marge Meyer, Tom and Gayle Honek, Gene and Ginny Platzer, Bernie St. Pierre, Bea Hoxter, Gayle Wonders, Ann Denemeyer. God bless you all! 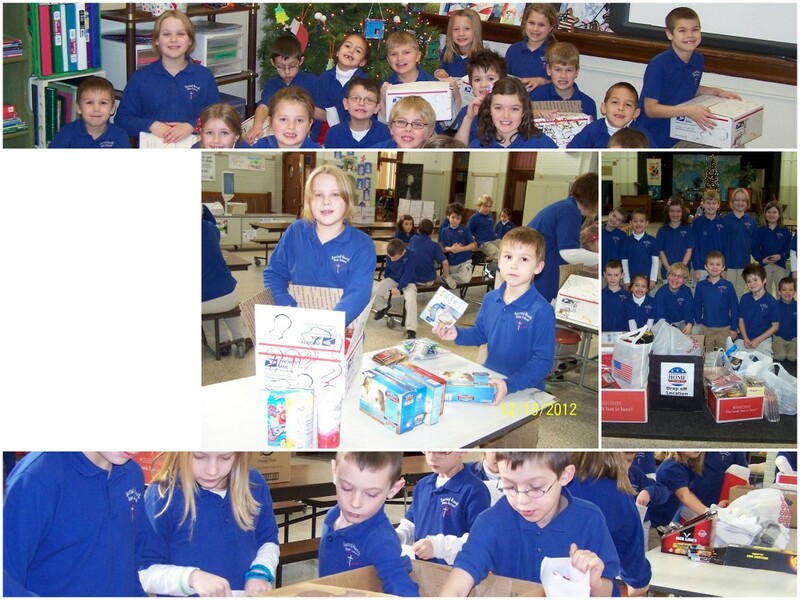 The second and third graders of Sacred Heart Area School collected goods for Chrstmas care packages to our troops stationed abroad. Their was a significant response from the community. All goods were packed by the kids into Christmas stockings and then in boxes to be shipped this past week. “We are so grateful to all those serving our country. All of us at SHAS want to wish them and their families a very merry Christmas, and hope they will be home soon. 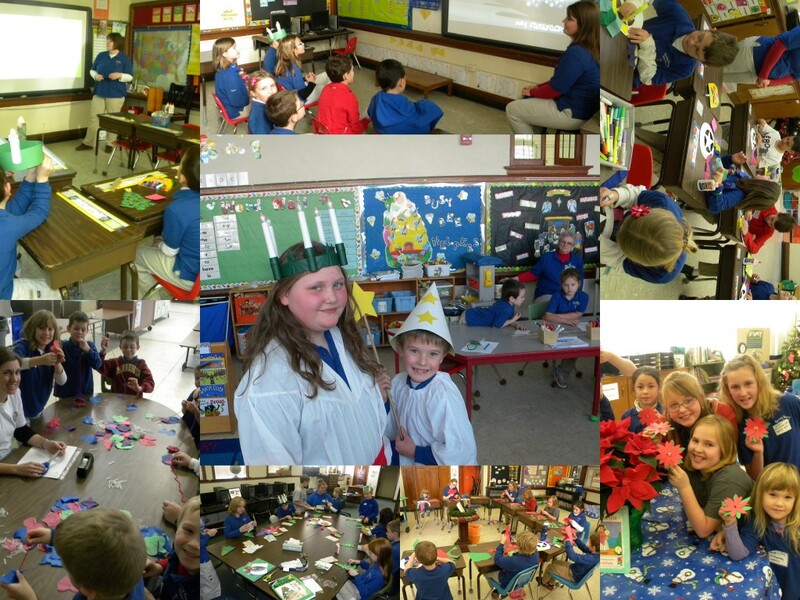 On the afternoon of December 13th, each classroom teacher offered a short lesson on how Christmas is celebrated in a different country, which included Germany, Philippines, Mexico, India, Poland, and Sweden. Children rotated from class to class (two sessions each) learning about various Christmas traditions in these foreign lands. Students found some very interesting customs, from tasty foods in Poland to wearing a wreath of lit candles on one’s head in Sweden. Students studying Christmas in the Philippines received a virtual airline flight tour at the beginning of their lesson. In Germany they learned about the Christmas tree and the poinsettia in Mexico. India has significant cultural and belief differences that amazed the boys and girls. Thank you teachers for such stimulating lessons for our students.